A great project for the home gardener with some land is to create a living fence. These are fences made of multiple plants rooted to the ground at a close interval. Pruning keeps the fence attractive and dense. Taking it a step further, grafting is used to join the wood of neighboring plants to create a continuous barrier of living wood, a fence that changes with seasons, even bearing flowers, fruit, and fall color with the right species. Pruning is the same as you’d do for a hedge and the grafting is the easiest, most fail-safe type of graft that requires just a little scarring and tying. If you have ​space and are up for a multi-year commitment and adventure, this home craft is worth a try. Living fences can be low or high, and long enough to be a real barrier or shorter and just differentiating spaces in a larger lawn. Living fences require specialized training and pruning to maintain. To keep very tidy, many rounds of pruning each year will be required. Requires many years to grow into the density, size, and aesthetic effect eventually desired. Unless you can afford to buy or have many mature plants to use as starting elements and space them closely, you must tolerate a year or more when your “fence” will not actually be a tight fence. Shrub willows and dogwoods are among the easiest to use in living fences because they grow quickly and self-graft easily. The colored stems and easy availability in nurseries are additional bonuses to their use. 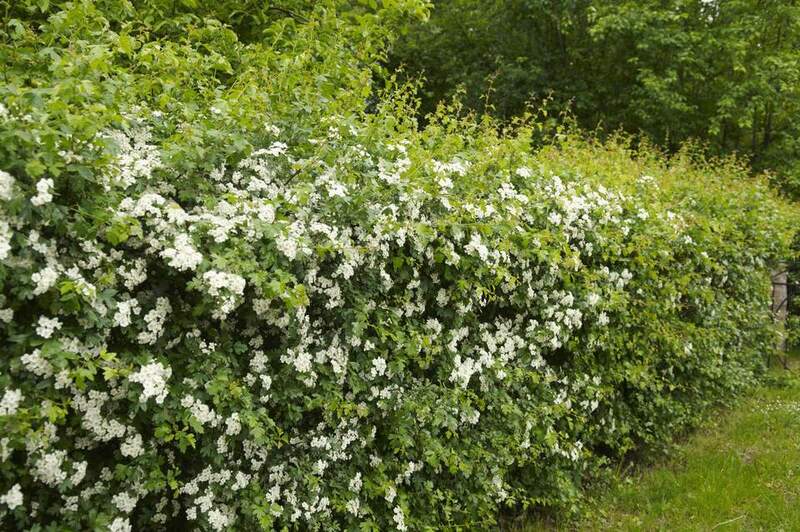 For a thorny fence, honey locust, black locust, osage orange, hawthorn, and pyracantha are traditional choices. Briars like raspberry and blackberry would lead to a very junky fence and would not be good choices for grafting—these plants naturally let older canes die, so your fence would quickly fill with thorny dead wood.